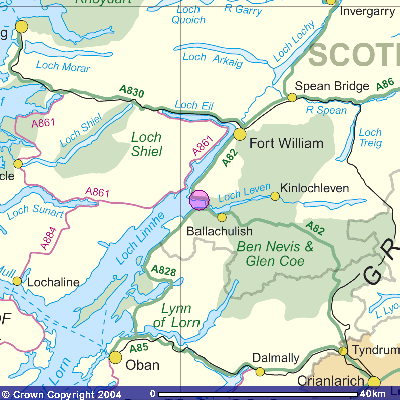 Tom-na-Creige is located on the A82 between Glencoe and Fort William. 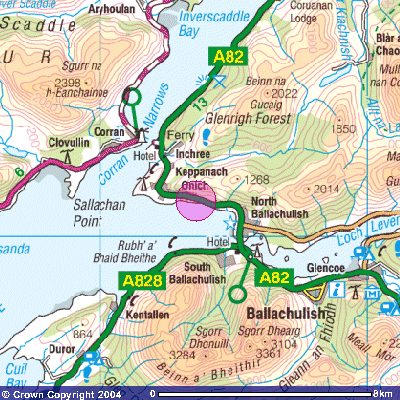 From Glasgow and the south, continue on the A82 through Glencoe and over the Ballachulish Bridge. After crossing the bridge continue for approximately 1 mile. You will see the sign for Tom-na-Creige on the left-hand side of the road and the house is located immediately on the right, 50 yards up the drive. From Fort William, continue south on the A82 for approximately 11 miles, travelling through Onich towards North Ballachulish. You will see the sign for Tom-na-Creige on the right-hand side of the road and the house is located immediately on the left, 50 yards up the drive. from London Euston to Fort William. Contact Scotrail for further details. Fort William is easily reached by coach with regular services from Glasgow and the south. 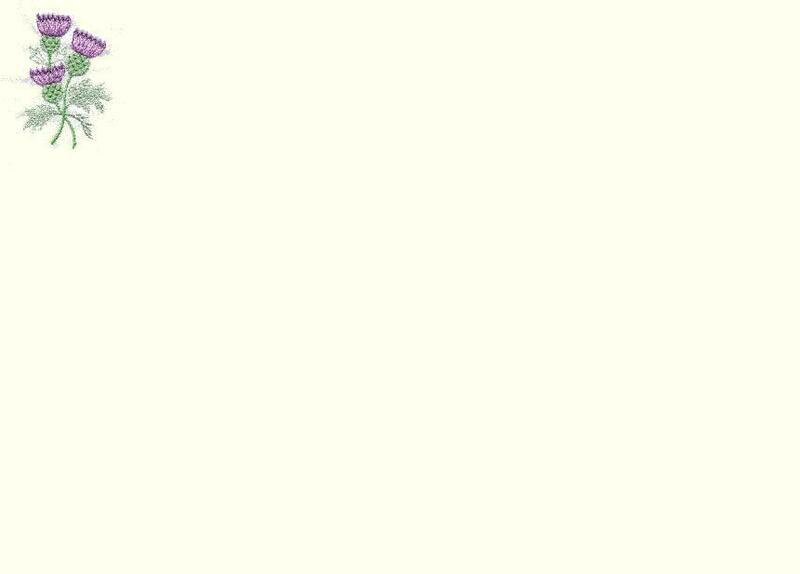 A direct service is available from London Victoria, taking approx. 11 hours. Contact National Express and Scottish Citylink for details. Glasgow is a major national and international airport. 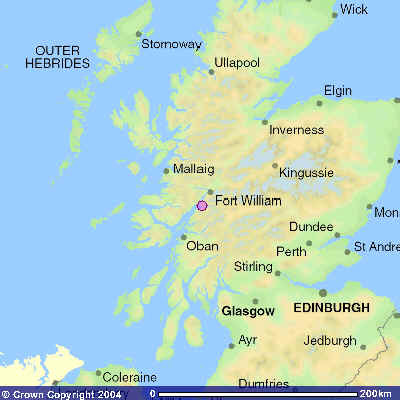 From Glasgow, Fort William is easily accessible by road (hire cars available from the airport), coach or train. Inverness also has an airport for national flights.